If you love to hike, there's a pretty big chance that you enjoy sharing stories of your travels with friends, family and fellow hikers. Yet if they don't share your enthusiasm for things like the great outdoors, camping stoves and craft beer, chances are you don't hear similar narratives of adventures in the wild. So if you're hankering for some trail-related tales, it might be best to head to your local library. After all, reading about the adventures of others may inspire you to write your own memoir of the wild at some point in the future. A goal for many and impressive achievement, the Appalachian Trail is trekked by hikers of all abilities. Some choose to spend a good several months walking its length, and then they write about their experiences. According to Backpacker, which rounded up what it deems to be the 12 best thru-hiking books, you can find some solid reading material about this route which runs from Maine to Georgia. If you like hearing about other hikers, Flip, Flop, Flippin' is a tale about one man's Appalachian hike and the people he met along the way - a collection of curious personalities, according to the source. For all the Anglophiles out there, Bill Bryson composed the amusing A Walk in the Woods, which he wrote upon returning to live in America after living in the U.K. for 20 years. It's a more lighthearted approach to hiking, but the writing is strong and engaging, and will most likely entrance any hiker or bookworm. 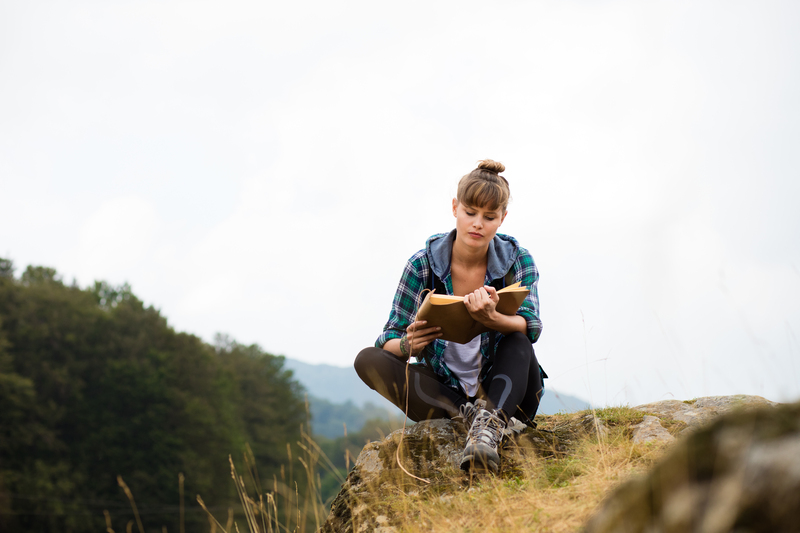 Even the most casual hiker who likes to read will enjoy a gripping tale, and if it details another land and a dramatic experience, then it is all the more exciting. Section Hiker proffered its list of intense expositions including K2: The World's Most Dangerous Mountain by Ed Viesturs. To call his account exciting is an understatement: The book chronicles Viesturs' difficult climb and the upsetting events that occurred on his way back. Between a Rock and a Hard Place is not a story for the faint of heart. Aron Ralston wrote about his experience of becoming stuck - quite literally - in one of the most remote places in the U.S. It also became a film starring James Franco, but be warned: it becomes somewhat gory in its depiction of Ralston's solution to his dilemma. If you feel like writing about your hikes and trail-related oddities, start bringing a notebook with you on your wanderings. You don't have to capture every, single detail - this might take time away from your walks - but making notes as you go along can jog your memory when you return home and you sit down to write. Daunted by the possibility of a novel? You can always set up and write your own blog. Posts can be shorter and more manageable, and if you share your words over social media, it may help you connect with other writing and reading hikers. On the other hand, if you're simply happy to read the escapades of others, head to your local library, used book sale or browse online for the aforementioned titles and more that recount the trials, tribulations and hilarity of being self-sufficient and out in nature.